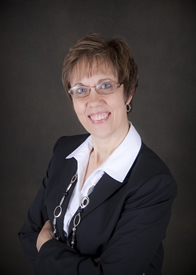 SPRINGFIELD – The conference Equipping and Connecting Team has announced the hiring of Teresa Gilbert as consultant to higher education. Gilbert is the founder and owner of Pathways to Excellence, which provides training, speaking and coaching services in leadership and organizational communication. She has more than 20 years experience in administrative leadership as well as having served with her husband as director of the Wesley Foundation at Southern Illinois University-Carbondale. Gilbert’s work will be a collaborative effort, which was outlined when the 2012 Annual Conference approved the position. The position is a contractual one, meaning that specific goals have been established and is not seen as a permanent employee position. “We were blessed with several quality applicants,” said the Rev. Dr. Kent Lolling in making the announcement of Gilbert’s hire. “Teresa has both the professional background as well as the personal background of having served in campus ministry that we believe will benefit our campus ministries on university and church-related institutions of higher education. Gilbert will be collaborating with Lolling and the Board of Higher Education and Campus Ministry, assisting with the evaluation, setting of goals and development of local Wesley Foundation board with the goal of establishing a better connection with United Methodist college/universities chaplains. Her specific duties call for meeting with each campus minister and college/university chaplain; meeting with each Wesley Foundation board twice a year Evaluation of and establishment of goals for program; aid in the establishment of goals for the Campus director; reviewing finances; establishing of budget; reviewing efforts and establishing of fundraising goals; when requested, assisting in the recruitment and selection of Campus director; and open discussion of celebration of successes and discussion of concerns. Gilbert will also meet with the IGRC Board of Higher Education and Campus Ministry on a quarterly basis, working with them on the evaluation of ministries, as well as be available to the Director of Connectional Ministries, the Cabinet or individual superintendents. Gilbert has a master’s degree in Education from Southern Illinois University-Carbondale and since 2007, has been a Certified Coach through the Coach Training Alliance. She is also a graduate of CLASS (Christian Leaders, Authors and Speakers Services) and has worked extensively in leading strategic planning teams, developing orientation programs, and providing coaching on developing and maintaining effective professional development programs.